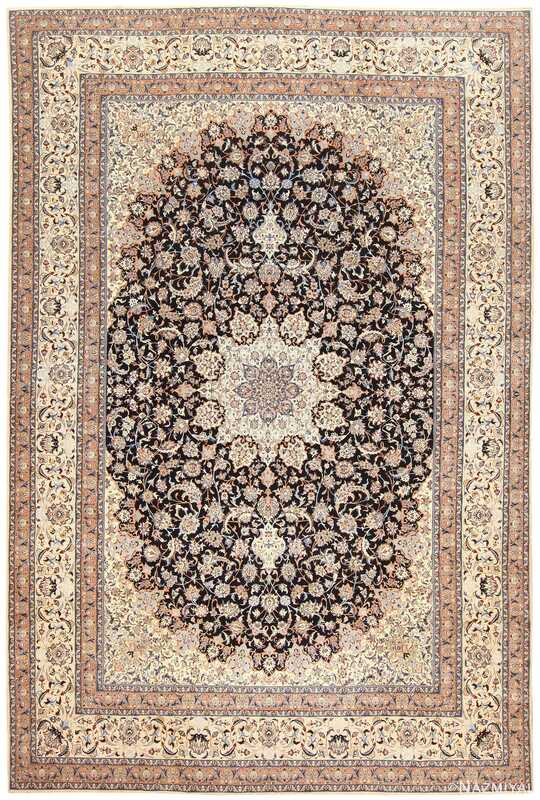 Vintage Persian Nain Carpet, Country of Origin / Rug Type: Vintage Persian Rug, Circa Date: Early 21st Century — Stunning intricacy and bold geometric complexity define this magnificent vintage rug. Handwoven in the city of Nain, the defining complexity of the piece begins with the outermost borders and continues through to the breathtaking dark heart. An earthy peach border surrounds the piece, giving way to a cream frame patterned with breathtaking floral and intricate motifs. A second pale frame follows, patterned with the same complex floral motifs. 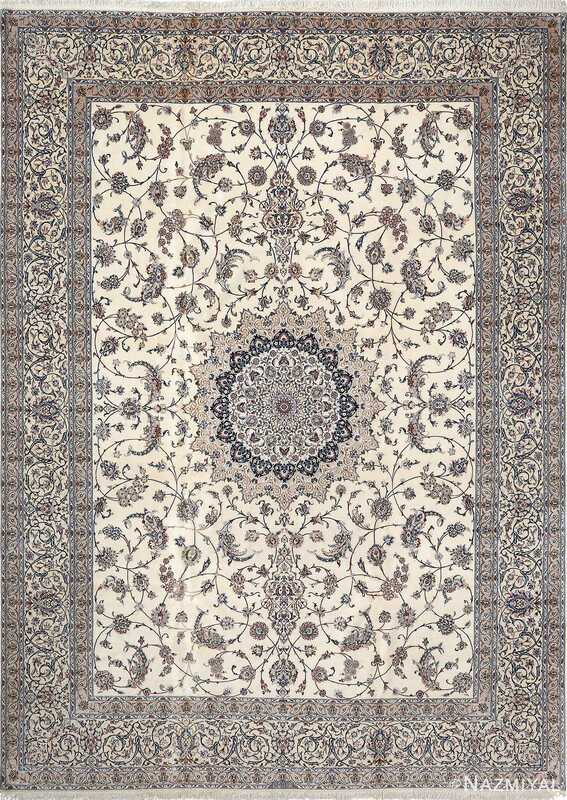 Rendered in a lifelike, beautifully artistic manner, the in this magnificent vintage Persian rug pattern continues across the piece’s dramatic, enthralling heart. A deep midnight background contrasts magnificently against the pale pattern. Interlocking symmetry and flawless geometry serve to emphasize the softness of the design’s delicate floral and fine motifs. 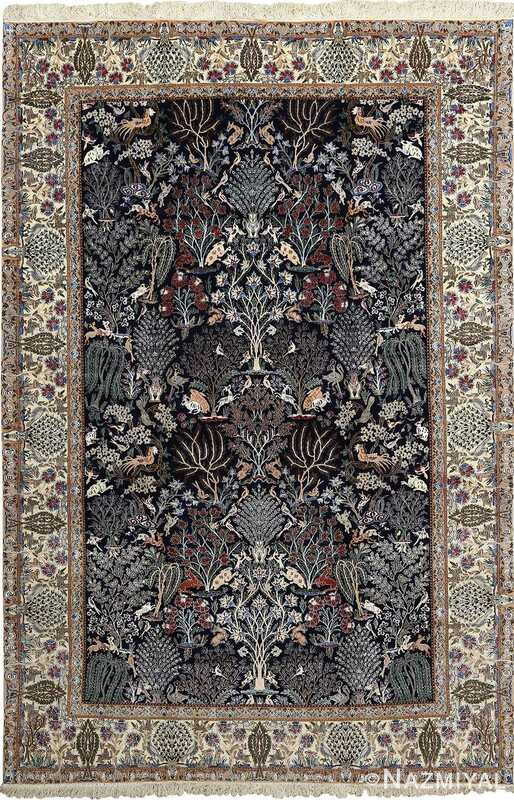 Breathtaking, complex, and fascinating, this stunning carpet ensures a commanding artistic statement. 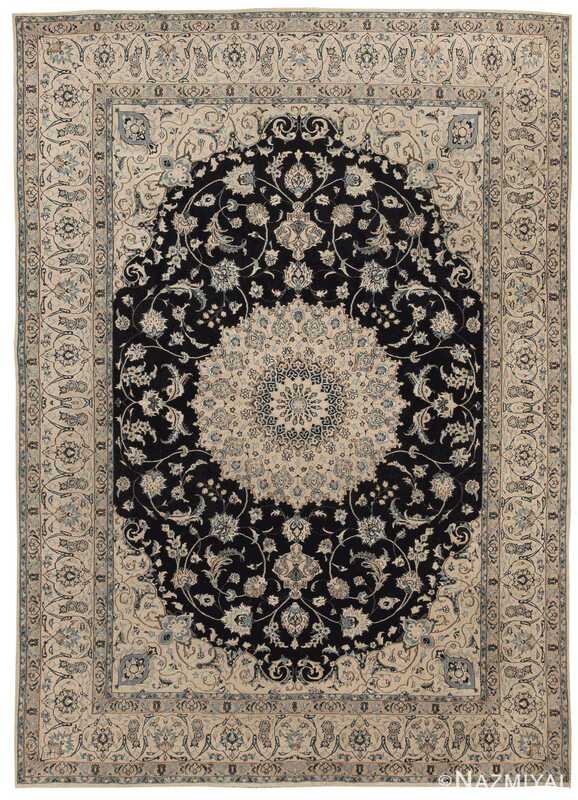 Created in Nain, this magnificent Persian rug features a radiant rosette surrounded by curvilinear vinescrolls with superfluous details and flamboyant flourishes.